This Belleek trinket box features a butterfly handle on the lid along with embossed butterflies in the sides and gold trim accenting. 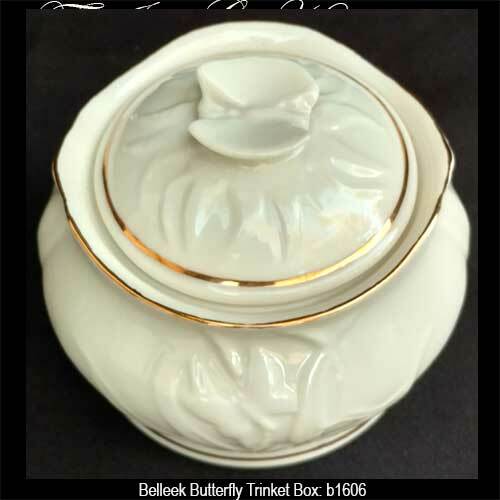 The Belleek butterfly box is made of fine china and measures 3" wide x 2 1/2" tall. 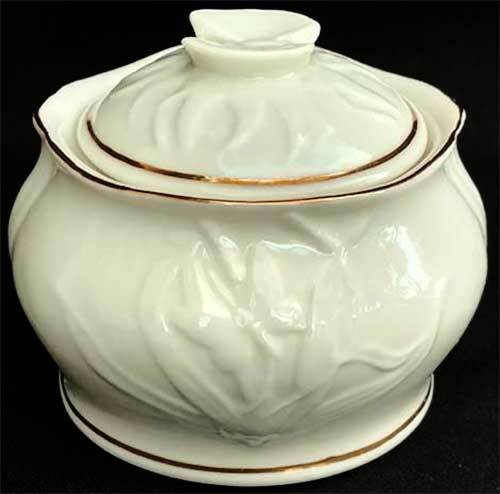 The Belleek China box for is suitable for trinkets and jewelry.